We did it!! We completed our first event and it went so well!! The bubble bar made it’s first official outing on Saturday 10th June for a private corporate event at South Cerney Outdoor Centre. The event was a family fun day for a local company within wiltshire, a summer get together with lots of fun water activities, a mobile street food van and of course plenty of bubbles! The day was great fun, perfect weather and many a cocktail was consumed. From the moment we started talking to the client (which was actually only a couple of weeks before the event!) they were clear they wanted prosecco to be served with an array of gin based cocktails. We worked with the client to produce a special menu for their event which would suit all their guests needs. The client settled for 3 gin based beverages including a standard G&T, gin mojitos and a secret garden cocktail consisting of gin, elderflower cordial and apple juice. These cocktails were a great hit, we ended up having to restock our cocktail barrels to keep up with the demand! It was a super relaxed day, with reggae music playing throughout whilst we watched the gang try to build rafts on the lake. The queue was steady to start with but once the afternoon had kicked in and dinner was served, everyone became rather thirsty. The highlight of the day for us was watching everyone sip their prosecco whilst sat around a fire, snuggled up to their families – after everything that has happened in England and across the Worldrecently it was really nice to be a part of such a lovely moment. Coupled with the great feedback, I came away from the event feeling super happy and confident that the bubble bar really is the perfect addition to any event. We now have a couple of free weeks until our next event but we can’t wait to get back out there! Watch this space! On Sunday we celebrated the launch of our beautiful horse box bar with all our friends and family. Everyone has been so supportive throughout our journey so it was nice to be able to give something back. We set the Bubble Bar up at our local football club, the perfect venue for a lovely Sunday afternoon of Prosecco and cakes. We dressed the bar how we will normally do so for any event, along with a number of hay bales and a table full of wonderful pink cupcakes. All hands were on deck and we managed to recruit my younger brother (who actually agreed to wearing a pink bow tie for the occasion!!) and our lovely friend, Karen who helped pour the Prosecco all afternoon. Whilst the weather was a little wet at points, nothing damped our spirits. From the moment we started looking into setting up our horse box bar, we always wanted it to be something we had fun doing, especially as a family. Me and my family are extremely close, and that definitely comes across in the ethos of our bar. Whilst we have had our challenges along the way, we cannot wait to get out there and start selling prosecco and cocktails to our wonderful customers. The Bubble Bar team want to give a huge thank you to everyone who showed up and supported our new family venture, and to those who helped us along the way including our wonderful cake maker; my nan, Ann, Karen, my brother; Drew and Devizes Football Club for letting us hold the event in their grounds. Personally, I want to thank my wonderful parents and partner James who have enabled me to do this project. They believed in my dream from the very start, and encouraged me to take the jump and push myself into something I never thought possible. They have also given up their own time and money to help build and make the horse box into the incredible bar that it is now, and for that I am truly grateful. Heres to next weekend, when we will be doing it all over again at our first event! The Bubble Bar Team would like to invite you to our opening afternoon, where we will be showcasing our fully converted horse box bar. 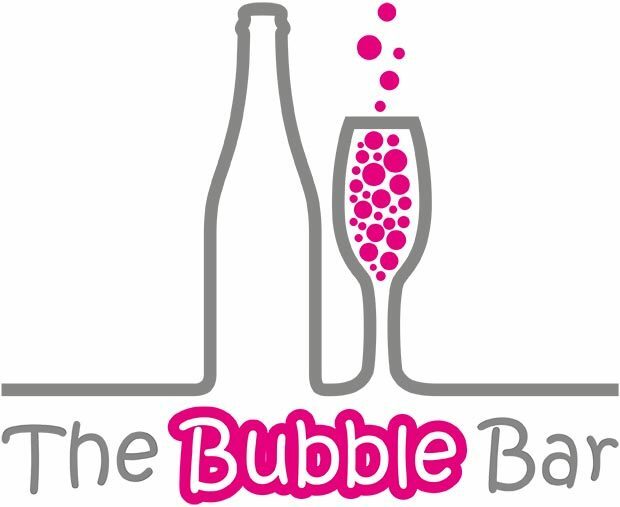 This event is an opportunity for you to take a look at the bar, both inside and out whilst meeting the Bubble Bar Team. It was a sunny October evening when we took the trip down to the New Forest to look at the pink horsebox. We travelled down all together in my dads’ car and wondered what we would find at the other end. When we first saw the pink horsebox we knew it was the one, it was in perfect condition and the outside colour was like nothing we had seen on any other horsebox bars. We purchased the bar there and then, collecting it and bringing it home the very next day. Our wonderful pink horse box ready for the conversion! My dad, Dean, is a carpenter so we always knew he would be the perfect man for the job of converting the horsebox into a perfect event bar. When I look back now I wonder if he curses the day he said he would do it. Whilst it hasn’t been difficult as such, it has not come without some slight hitches along the way. Trust me, I’ve had many a freezing day stood on the drive painting the exterior of the bar – it’s not all as glamorous as it looks! We started on the kitchen units first, finishing them off with our beautiful sparkling worktop. Then Dean worked on the bars on each side of the horsebox, whilst I painted the interior. The outside was in pretty much perfect condition, but we galvanized all the metal fixings to make them look shiny and fresh. Nearly every Saturday morning for the past 6 months, all four of us have been working on the bar – we’ve also had extra helpers along the way including friends and other family members who have helped paint and clean the horsebox. We also owe a huge thank you to our wonderful electrician Joe, who kitted us out with a working sink and beautiful lights throughout the bar. When we first started doing the Bubble Bar we had so many ideas of how we wanted it to look, we would scroll through Pinterest every night, saving each photo of other bars that we liked. We made a huge mood board, and stuck a million colour charts to it for inspiration. But as time has gone by, the idea of how we first wanted the bar to look is long behind us. Our initial ideas were filled with light pinks and copper details, but that was never going to work with a bar that had silver and dark pink exterior. Then we had our logo created and realised that grey and dark pink could work really well together. We also planned sweet flower prints, and cute fairy lights, but in reality we needed stronger lighting and an exterior that would wow our customers! We soon learnt that most of our plans were impractical, especially with the limited space that we had, so 6 months later and our bar is looking very different to how we first imagined it, but just as wonderful (if not more)! It has taken us slightly longer than we hoped to convert the bar as the weather hasn’t always been on our side (typical English weather! ), and with most of the Bubble Bar team having other full time jobs, sometimes the conversion had to be put on hold. However, it’s finally coming together and hopefully, after a few more Saturday mornings painting, the bar should be up and ready to hit all those summer events – Watch this space! I have always loved going to events and being in amongst the atmosphere, so when I discovered you could study Events Management at University I knew it was the right thing to do. After 3 wonderful years at University in Plymouth, and a years placement at a hotel in Newbury I was ready to face the real world of Events. However, living in Wiltshire there aren’t too many big event companies in this area. Even though I managed to find a job within the Events field after University, something was missing. For me, the reason I love organising Events is the positivity and happiness that comes from the customer after they had had the best day/night with their friends and family. So I got another job in a local hotel, doing more personal events and I loved it! Seeing how great the customer felt after their event made it all worth while. However, I realised I wanted to be in amongst the events once again, and this time as my own boss. Whilst at a local festival me and my family noticed a similar horse box bar to The Bubble Bar and wondered what it would be like to do it for ourselves. And thats how it all started. There was no going back. We purchased the pink wagon back in October 2016 and have been converting it since. At a local festival in 2016!